Travelers are finally discovering the delights of Lima, which until recently was one of the most unsung capitals of South America. Replete with stunning colonial architecture, world-class restaurants, a vibrant arts scene and compelling cultural attractions, Booking.com recently named it one of the top 10 “up-and-coming destinations” for 2018. Luxury Gold can show you the highlights of Lima on the incomparable new 12-day ‘Treasures of the Incas‘ itinerary. The trip is bookended with stays in the seaside capital city, where guests have the chance to eat its innovative food, explore both its modern and ancient heritage, and interact with notable locals. And as with all Luxury Gold itineraries, this trip includes a number of VIP Experiences that are not readily available to the average traveler. 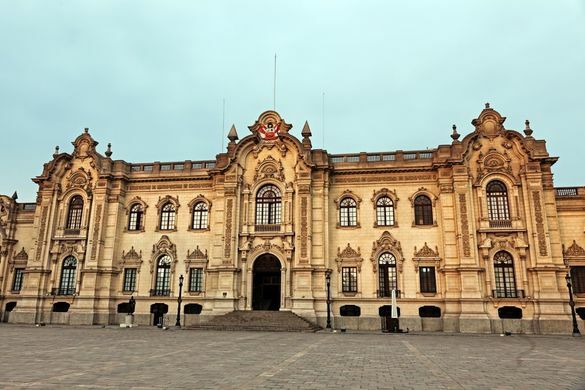 When guests first arrive they are introduced to the city through the eyes of a Local Expert, who guides them through the UNESCO-listed historic center of Lima, its soaring cathedral, and the mysterious Monastery of San Francisco. Later guests meet and chat with painter, sculptor and local legend Victor Delfín in his oceanfront workshop/studio in Barranco, Lima’s bohemian arts district . One of Peru’s leading artists, Delfin is highly regarded for his massive metalwork sculptures of birds, horses and other animals, including the monumental El Beso (“The Kiss”) sculpture in el Parque del Amore in Miraflores. Guests hear stories about Delfin’s life and work, and learn what he is currently working on. Considering that Lima is known as the gastronomic capital of South America, Luxury Gold ensures that guests have plenty of opportunities to sample some of the finest food in the city. The first night’s Welcome Dinner takes place at Restaurant Amoramar, a local favorite and one of the top five restaurants in Lima. The menu combines Peruvian classics with Mediterranean fare and specializes in fresh seafood, while the building, which is a converted colonial mansion, doubles as an art gallery. The final night’s Farewell Dinner is hosted at the famed Astrid y Gaston, which for 20 years has been at the cutting edge of contemporary Peruvian cuisine. Set within a grand historic mansion that dates to the 17th century, this “temple of haute Peruvian cuisine” takes traditional flavors and techniques and interprets them in a creative, modern way. Most ingredients come from either the restaurant’s own garden or the wider Lima area. A journey to the mist-cloaked citadel of Machu Picchu via the panoramic viewing cars of the Vistadome train. Unlike other visitors, Luxury Gold’s guests have a whole dayto explore this ancient fortress, both with a guide and on their own. A visit to a working tea plantation and orchid farm on the grounds of the stylish Inkaterra Machu Picchu Pueblo Hotel is also part of the experience. In Moray, guests witness a centuries-old ritual that expresses reverence to the Earth during a private ceremony with a local shaman. During lunch in Cusco with a local Quechua scholar, guests learn about traditional weaving techniques then visit the Center for Traditional Textiles and see weavers in action. In colonial Cusco’s town center, a Local Expert helps guests navigate the local market and gives tips on how to improve their bartering skills. At Lake Titicaca and Lake Sillustani, guests get the chance to cruise the lake, see the floating islands of Uros, and admire the stone carvings of Amantani. Throughout this journey guests move from city to city on luxury coaches with extra legroom, stay in five-star hotels in stunning locations, and enjoy the personal attention of an expertly trained Traveling Concierge.